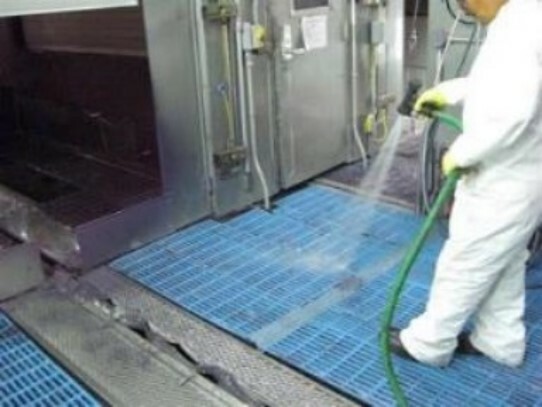 GrateSaver™ 888 Grate Covers protect paint booth grates from overspray buildup and exposure to corrosive chemicals and water. This cost-effective in-situ alternative eliminates the need to remove grates from the booth for cleaning, or the need for hi-pressure blasting within the booth. 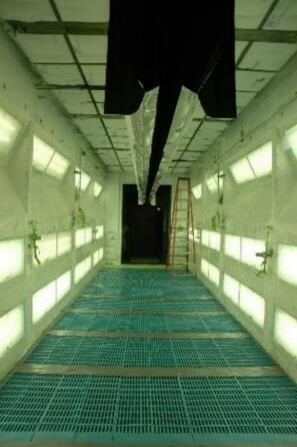 This solution requires no capital investment, and allows for quick and frequent cleaning that reduces sludge maintenance costs and improves paint quality. A GrateSaver™ installation can last 3-6 months before replacement. Section by section replacement and removal reduces booth downtime. 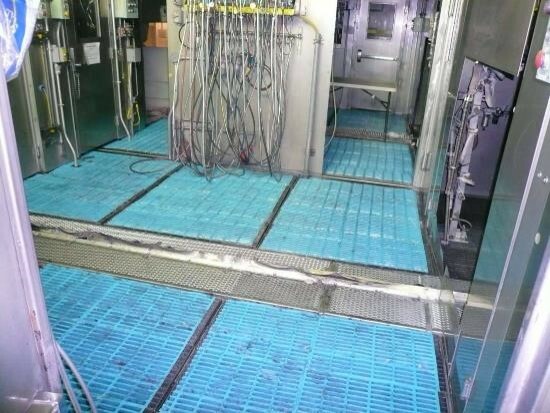 Reduces sludge buildup resulting from “shock” induced by UHP cleaning. Low cost, long term solution. Eliminates need for grate removal. Ergonomically safe for the workers.